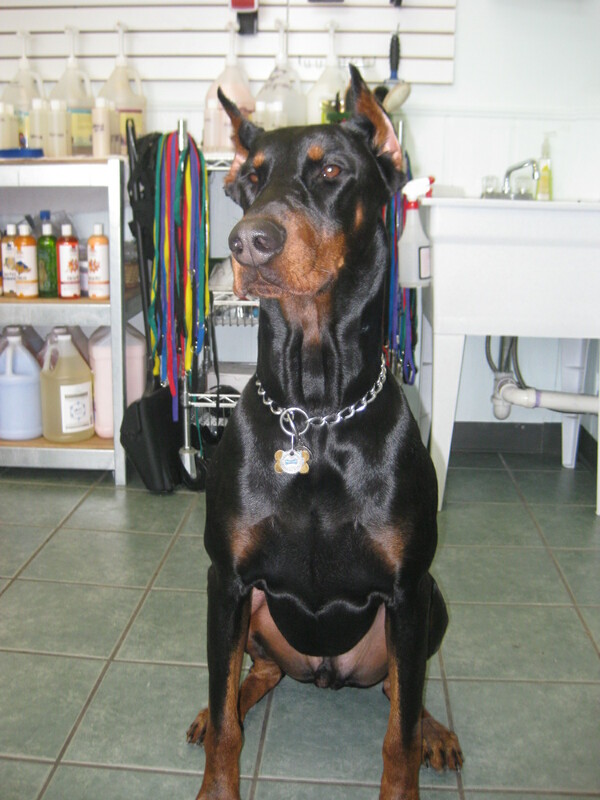 At Well Groomed Spa we offer a variety of services to fit your dog’s needs. Unlike other grooming salons we don”t have add on that we charge extra for. Everything is included in the grooming. Prices vary according to your pet’s breed and the type of work to be done. Don’t need a full groom? We also offer great prices on basic baths and nail trims. Max may not need a haircut but he is still treated like a king. Do you just have a short-haired dog that has gotten a little stinky? Has the vet prescribed a medicated shampoo and you don’t feel like bending over your tub at home to bathe him once a week? Or do you just want your pet to have a good bath and brush in between grooms? We offer great prices on baths. No we can not groom cats at this time. We can however provide a nail trim. A Rabies Vaccine is required by law for grooming. Exceptions are for pets over the age of 12 or who are immune compromised. We do not require all other vaccines and leave it up to the owner to decide. We do not allow owners to stay to watch the grooming process. This is for the safety of the pets and groomers. When owners are present pets become very excitable and jump all over the place making it a dangerous process. Please just trust in us and know that your pet is being treated very well! No show and Cancellation policy. We kindly ask that you give at least 24 hour notice if you are unable to make your appointment. You will be given one chance and then will be charged 50% of the groom the second time. The third time we ask that you prepay. Please understand that when you dont show up for an appointment we don’t get paid. I’m so excited to meet you. I live in Jacobus and I just adopted a puppy from the SPCA and need to find a groomer. Hi Cathy, I look forward to meeting you and your new pup as well! If all goes as planned I should be opening next week. You are welcome to call or send an email with your info, and I will contact as soon as we are open.